Dear User, due to heavy traffic all the songs below in our server has been crashed , this is why we've temporary removed the link of songs. Soon all the links will be updated automatically, please have patience and it may 7-14 days . 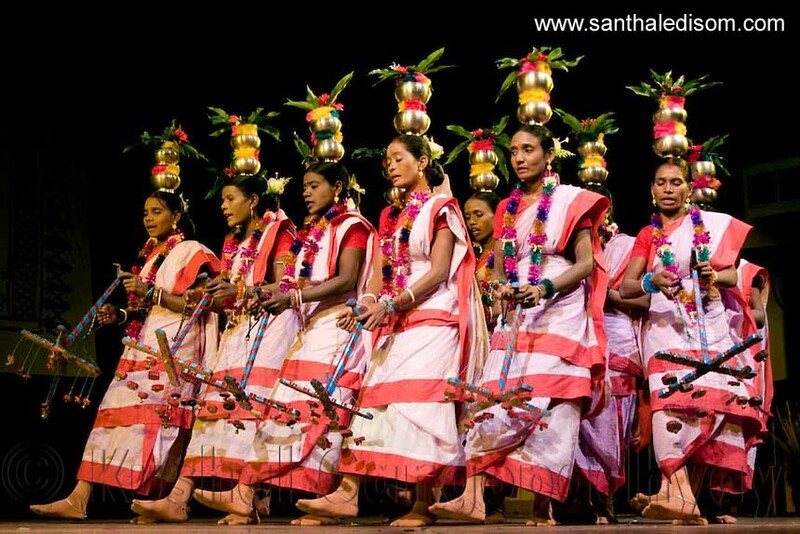 Description - This page allows you to go through the latest santali songs released, unfortunately when new santhali songs releases it is not well promoted, and lack of promotion the songs get lost. 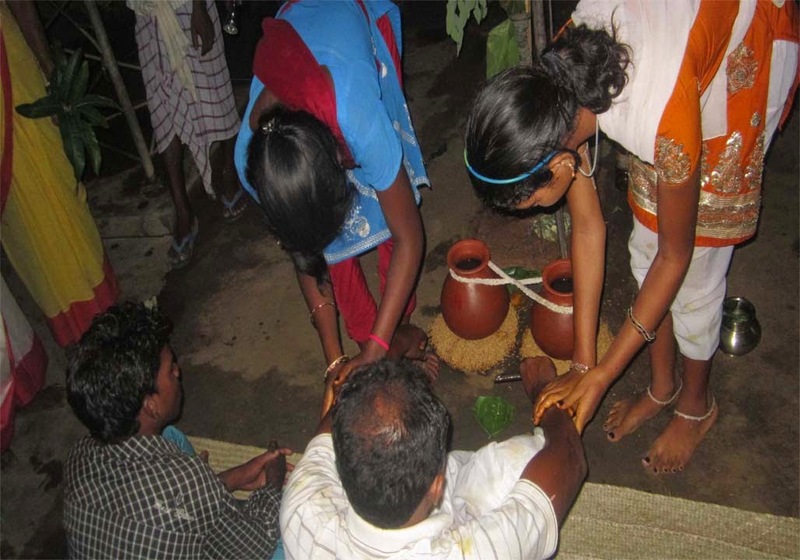 this is why this website is dedicated for santhali in uplifting their songs,culture and tradition. Description : This page contains the mp3 songs from Santali Album 'Dular Shogay' which was released in 2011, The Song is nice and it is 128kbps which is quite good. Dular shogay was directed by Jagannath Hembram from Jhargram,West Bengal. Dular Shogay album was produced by 'Sathi Music'. You can listen and download this album by clicking on the below.Songs in this album are 128kbps. Part – I :Section A: History of Santali Language: I. Main Austric Language family, population and distribution. II. Grammatical structure of Santali Language. III. Important character of Santali Language : Phonology, Morphology, Syntax, Semantics, Translation, Lexicography. IV. Impact of other languages on Santali. V. Standardization of Santali Language. I. Literary trends of the following four periods of History of Santali Literature;(a) Ancient literature before 1854. (b) Missionary period : Literature between 1855 to 1889 AD. (c) Medieval period: Literature between 1890 to 1946 AD. (d) Modern period: Literature from 1947 AD to till date. II. Writing tradition in History of Santali literature. PART I – Poetry : (a) Onorhen Baha Dhalwak – Paul Jujhar Soren. (b) Asar Binti – Narayan Soren “Tore Sutam” (c) Chand Mala – Gora Chand Tudu. (d) Onto Baha Mala – Aditya Mitra « Santali ». (e) Tiryo Tetang – Hari Har Hansda. (f) Sisirjon Rar – Thakur Prasad Murmu. PART II – Novels : (a) Harmawak Ato – R.Karstiars (Translator – R.R. PART V – Biography : On perusal of the syllabus, it can be seen that the syllabus is very vast and perhaps the pattern being followed in other languages have been followed. May be these books are being prescribed in various Colleges and Universities. Apart from the subjects being studied at various Universities, the books could be referred for general knowledge and to have an in depth knowledge about the Santali literature and Santal people. However, clear information is not available whether these subjects, courses are being imparted in various under graduate course at various colleges. It is natural to expect that the course contents need to align to the syllabus being prescribed in various educational institutions. The availability of book was a prime concern and still it is continuing and the students and persons aspiring to pursue the subjects face daunting task in finding or arranging books. It is in this context, all are being requested to make everybody know the source and place where these books could be found. The coaching institutes should also come to the fore to make these books, reference material available in the interest of the students as well as the discerning people. May be due to the fact that very few are opting to take this subject as an optional, the support is not coming forth as return is minimum or not lucrative. In order to see students take up this subject and preparing for the coveted examination, it is incumbent upon everybody to pool together information and material to generate an interest/atmosphere to inspire the students to pursue their career through mother tongue. All concerned are requested to share information with us and send the same in the email id which would further be disseminated. The days are not far, when the success would instill a sense of confidence among people and this would be a befitting reply to the persons who are moving away from the lap of mother tongue. Description : This page contains the some famous song sung by kalpana hansda, all these songs were released during 2007-14. Kalpana Hansda is famous Singer in Santali music industry, she has been singing the traditional songs but became famous when she started singing some modern tradtional songs in Santali albums. Description: This page is dedicated for Dong serenj(Song), Dong serenj which is a traditional music and dance style also of Santals, specially 'Dong' is danced in occasion of Marriage. Dong songs is of two type, one which totally signifies the act,and some emotional but joyous words sang for bride and bridal in Santali marriage , and the second one is different from tradition and culture but the music, rhythm are same as in tradition Dong songs. Here this page facilitate you to download the dongs songs in easiest way so that you can enjoy, organize this songs in digital store . All the links provided in this page are of our own digital store and is not taken from any other resource . The bit rate of all the songs is about 96kbps and 128kbps, we've added some extra features in our all songs like all the songs are compressed, hence you get your content fast and secure and moreover if you are prepaid Internet subscriber, you get limited amount of Data Usage and using this website it reduces your internet data consumption as compared any other online media . Still we are trying to give more song list so that you get all the information and songs in one click . A Sangat Sari Ge Aal. Bir Buru Rema Matha . Hane Sedai Aam Do . Description: Sinbui Dudugur is Ho album songs which was released in year of 2011, This album contains Ho entertainment songs, There are eight songs in this albums . Description: Seyan Marshal is Ho entertainment song, Ho songs are very rare on internet and this website promotes Ho songs so that the people belonging from Ho community can able to get or listen Ho songs over Internet. Ho is mundari sub-caste which belongs from kherwal community . Songs will be uploaded soon. 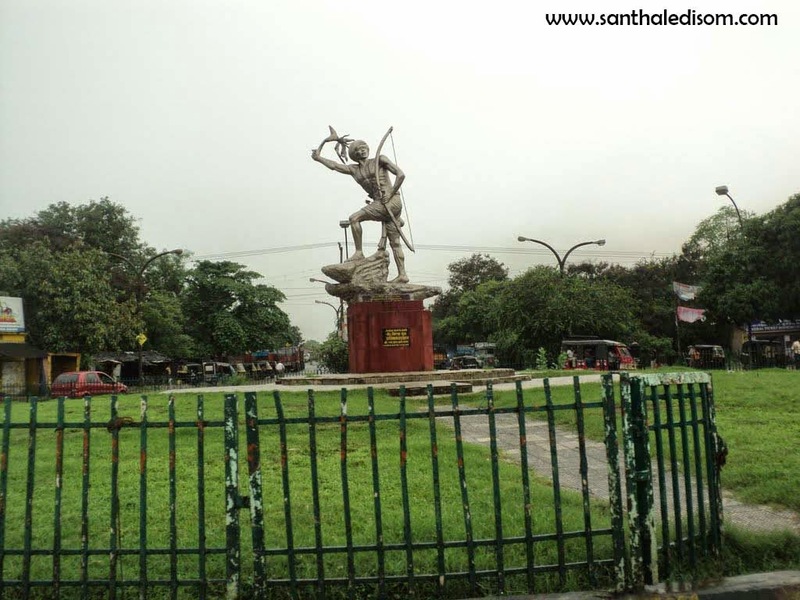 Santhaledisom.com is the digital storefront of Santali Content, this website covers Santali Langugage,Literature,Culture & Films and album also. Kalpana Hansda's all song are also available here, click here to go to the Kalpana Hansda Song page . Please click here to know about the Leader of Santal Revolt Sido kanhu . Disclaimer :- This is to inform that neither www.santhaledisom.com nor Blogger.com hosts any of the songs linked from this blog. All the videos in this blog is embedded from the Youtube or any Online video Portal. This blog contains the links to songs that are freely available on internet. The songs are Copyrights of their respective owners. So check your States's/ Nation's/ Region's copyright policy before downloading. The songs are for preview purposess only. We recommend you to buy the original music. And Support the Santali Film Industry . Get Your own Santhal Webmail ID and Proud to be a Santhal. click here to get E-mail ID. Get Your Santhal Webmail E-mail ID ! Description - 'Cha ko' is a Santali Album which was released in 2007, It was produced by 'Choice' and It was directed by Pankaj Murmu. Music was by A Tanu Murmu and Xmas Marandi. The songs in this album are quite average. There are 11 songs in this album. You can listen and download them by clicking on the link below. The songs in this album are 128kbps.